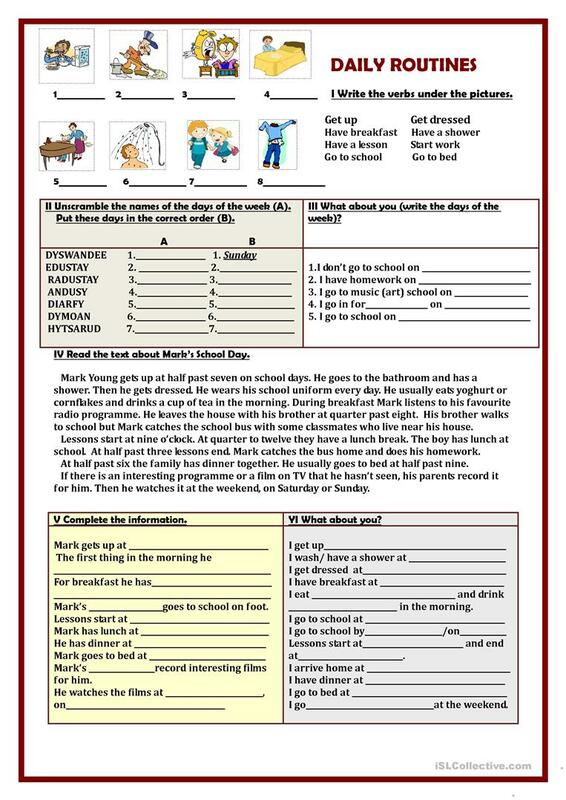 This simple worksheet can be used for teaching and practising the Present Simple tense, days of the week, different daily activities. It contains six exercises. The above printable, downloadable handout is intended for high school students and elementary school students at Elementary (A1) and Pre-intermediate (A2) level. It is a useful material for teaching Present simple tense in English, and is useful for enhancing your students' Speaking, Reading and Writing skills. It centers around the topic and words of Daily routines.